Johnny Depp Adopted by Comanche Nation; Should We Drop Charges of Redface? 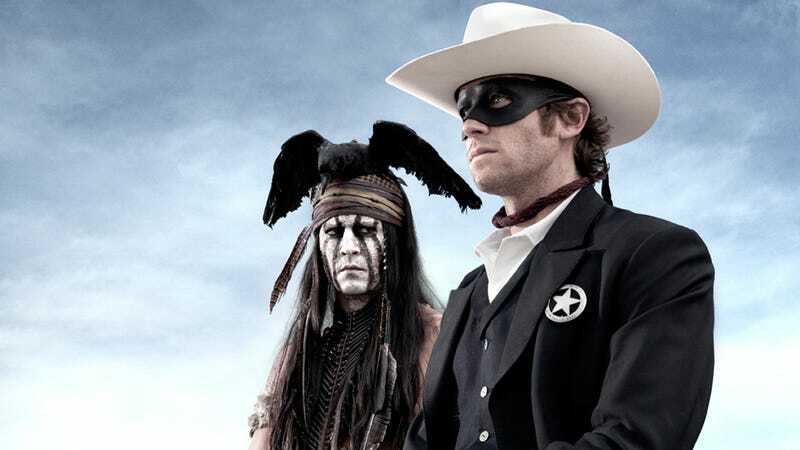 Despite the fact that Johnny Depp is supposedly "reinventing" the character of Tonto in the re-imagining of The Lone Ranger, the early buzz has been mixed, with accusations of Redface. But last week, LaDonna Harris, a Comanche and president of Americans for Indian Opportunity, invited Depp to join the tribe. "I reached out, and Johnny was very receptive to the idea," she told the website Indian Country. He seemed proud to receive the invitation, and we were honored that he so enthusiastically agreed." The ceremony took place at Harris's home, and Depp gave gifts to the attendees, as per tradition. "Welcoming Johnny into the family in the traditional way was so fitting," Harris said. "He's a very thoughtful human being, and throughout his life and career, he has exhibited traits that are aligned with the values and worldview that Indigenous peoples share." In addition, the Navajo Nation have given their blessing for the production to film on their land in New Mexico; and they've offered gifts to both Johnny Depp and costar Armie Hammer. It's still kind of strange that Depp's character wears a costume possibly based on a painting by the artist Kirby Sattler, who is not Native American, not a historian, not an ethnologist and purposely paints subjects that are not specifically of or about any one tribe. But if the Comanche people have no beef and the Navajo Nation is pleased, maybe we don't have the right to be flustered by the flick. Also, SPOILER ALERT, rumor has it, that in the script, Depp's Tonto might actually be a white guy hiding out, undercover, posing as an Indian. Meta. Whether or not Disney has the capacity to make an inoffensive movie out of the highly offensive TV series remains to be seen, but at the very least, it seems like Depp — who has always claimed to be part Cherokee or Creek — is trying his damndest to do this properly, conscientiously and respectfully. All I know is I'd feel so much better if Sherman Alexie weighed in.